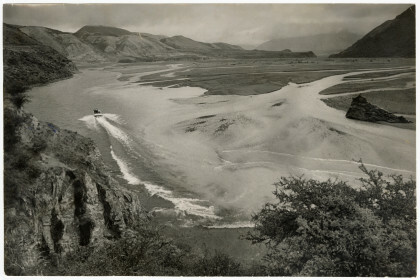 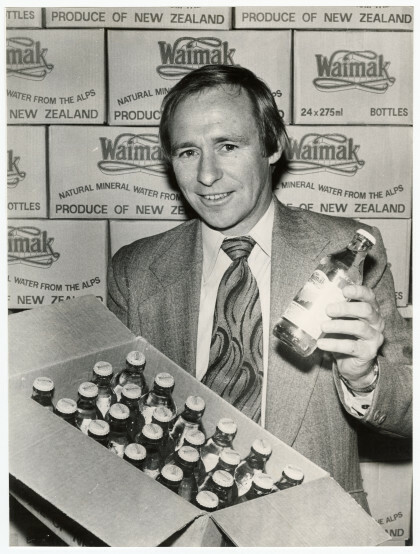 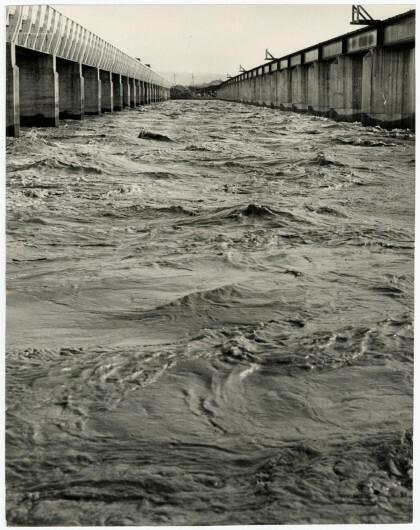 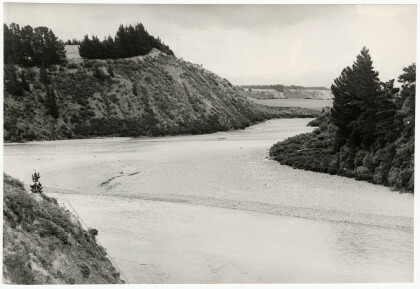 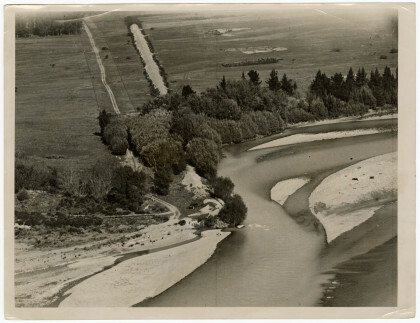 Aerial view of a section of the Waimakariri River. 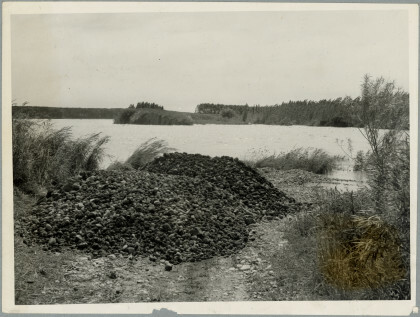 A pile of shingle on the edge of the Waimakariri River. 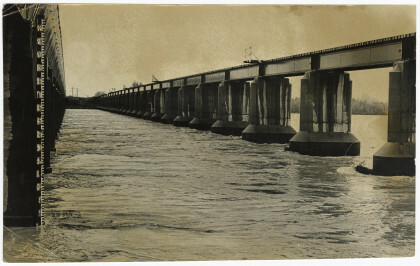 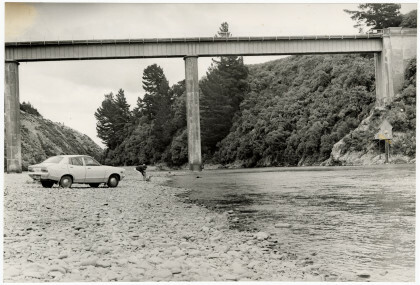 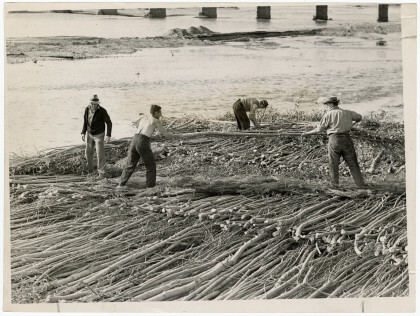 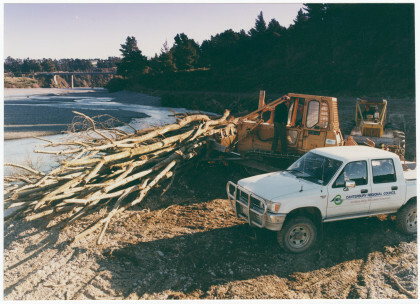 Workers laying a willow end groyne on the Waimakariri River. 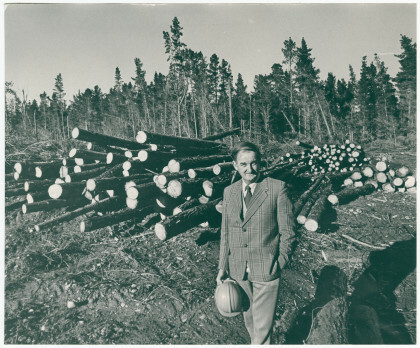 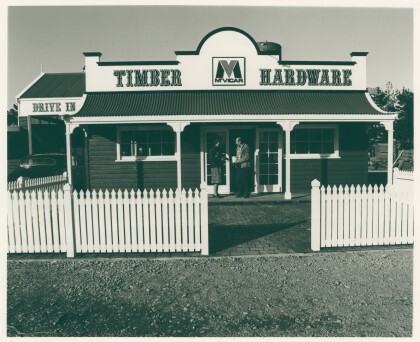 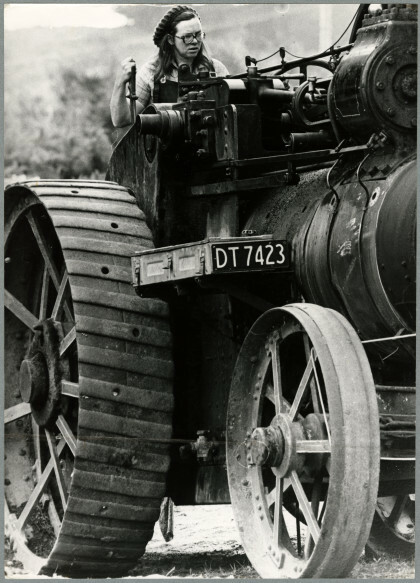 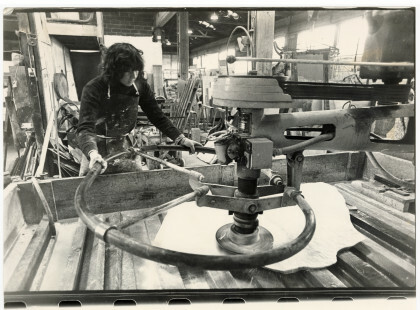 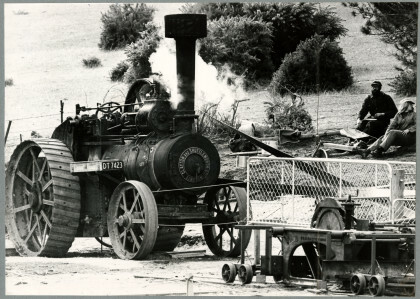 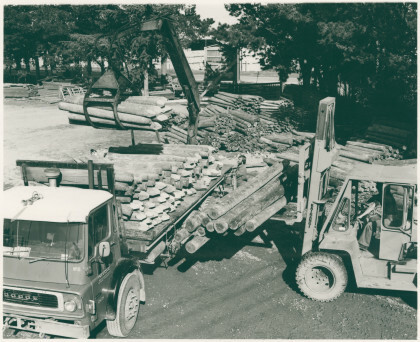 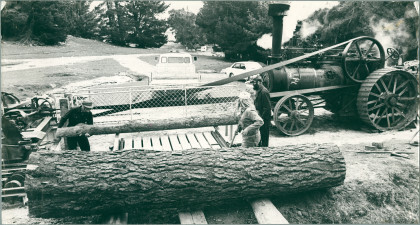 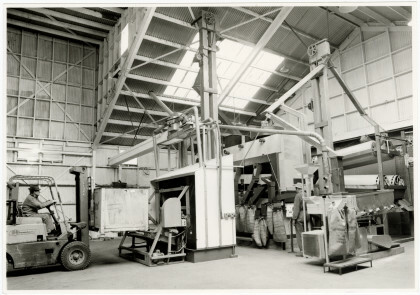 Timber being loaded onto a truck at McVicar's Southbrook yard. 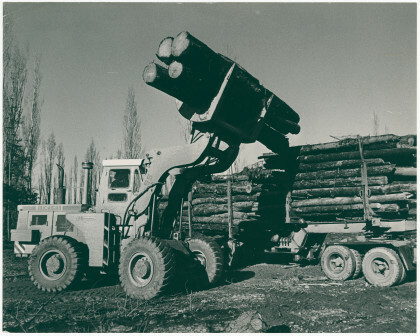 Logs being loaded onto a truck.